Three words come to mind when I think of this game: Return to normalcy. 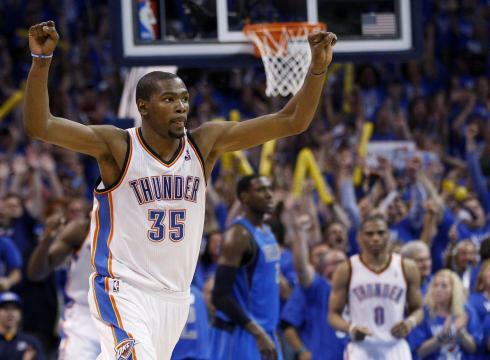 For the past 6 months, Thunder fans have been living on the edge regarding our present and our future. We’ve seen what life is like without Westbrook and we’ve seen Westbrook (surprisingly) come back for the home opener on Sunday. Now it feels normal. A primetime game with the whole band together against a rival. To me, the NBA season starts today. The Oklahoma City Thunder come into this game with a record of 2-1, after what can only be described as a whirlwind first week. They looked good, but not great, in their opener against Utah. Then, in Minnesota, crews are still trying to pick up the mess that was left behind by the shellacking the Thunder received at the hand of the Timberwolves. 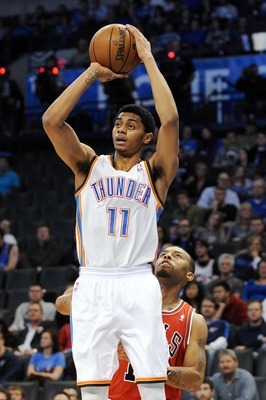 And then Westbrook returned to provide a spark at home against the surprisingly resilient Phoenix Suns. The week was like the recordings of a seismograph: up and down, up and down. But alas, the Thunder came out relatively unscathed and have had a couple of days between games to practice with a full compliment of players. 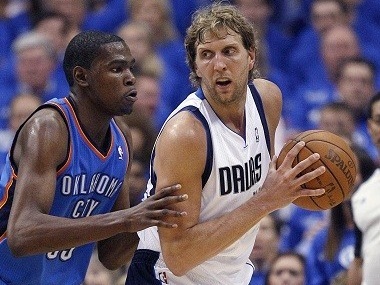 The regional rivalry between the Thunder and Dallas Mavericks begins tonight in Oklahoma City. The Thunder won all 4 games against Dallas last season, and have won 10 straight games against the Mavs, to include the playoffs. While it may seem to currently be a one-sided rivalry, two of the games last season went to overtime and a third was only a 6 point victory for OKC. Regardless, when it comes to regional rivalry games, you can usually throw records out the window. Coming into this game, the Mavericks are 3-1, and are surprisingly one of the top offenses in the league. Surprising, not because of the personnel, but because of how quickly the new parts have assimilated into an offensive force. The Mavs are still led by forward Dirk Nowitzki, who seems to be recovered from the myriad of ailments that plagued him last season. 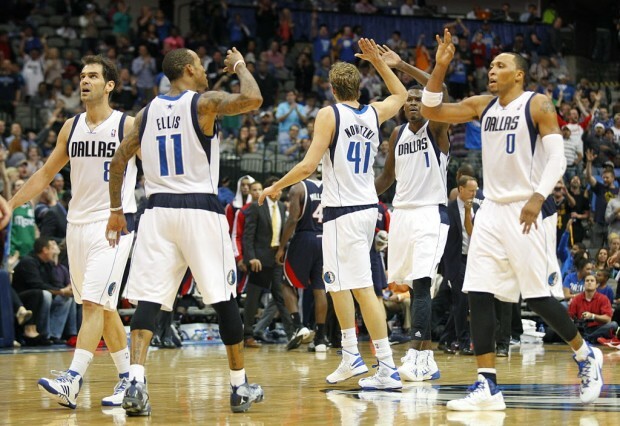 The Mavs’ reassembled backcourt seems to be what is spear-heading the offense. Shooting guard Monta Ellis has been very efficient in the first 4 games of the season, averaging 25 ppg on 53% FG shooting. The other half of the back court, Jose Calderon, has struggled mightily offensively, but has done a good job orchestrating the offense. Off the bench, the Mavs are led by veterans Vince Carter and Dejuan Blair. 1. Small ball line-up – Although Nowitzki is a 7 footer, he plays more like a small forward. Look for the Thunder to match Nowitzki with Durant, and play more of a 3 guard lineup with Westbrook, Jackson, and either Sefolosha or Fisher. 2. Rebounding – If the Mavericks keep Marion in during the small ball line-ups, it’ll be imperative that everyone rebound, to include the guards. Marion is still quick enough to stay with guards, while still having the ability to outrebound them. 3. Bench play – The Maverick’s starting line-up is a hand full, but the Thunder could possibly make up for that off the bench. With Reggie Jackson finally in his role as 6th man and Jeremy Lamb able to play off the ball, it’ll be up to them to possibly take control of the game when they get in.